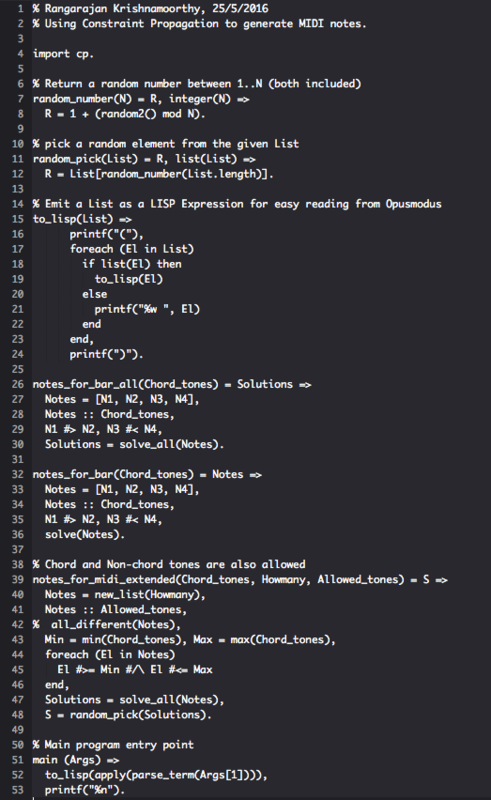 As in the Lisp version of last post, I wrote a Picat function to generate chord and non-chord tones for composing melody over a given chord progression. The next challenge was to figure out how to communicate from Opusmodus to Picat and back. To keep things manageable, I decided to spawn Picat from within Opusmodus, passing the relevant arguments via command line, and then reading the output emitted by Picat back into Opusmodus as a Lisp expression. Definitely an expensive and inefficient interaction protocol, but then we are not doing real-time programming, right? The good news is that this works, as you can see for yourself. 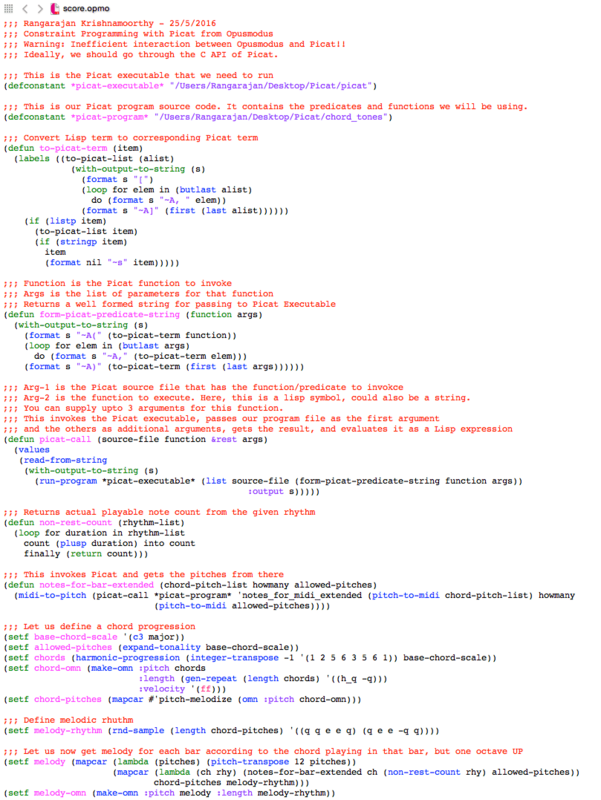 I had to write a couple of functions in Opusmodus to marshall the arguments back and forth between OM and Picat. But not very complicated. So now we have two ways to do constraint programming in Opusmodus: Using Screamer (in Lisp) and Picat. The more, the merrier! Download the Picat source code here. Opusmodus source is here.